Casting agents are people who can improve your chances of getting the parts you want in films or television. You might be an established star, or you might be someone who is just starting out in the entertainment business. The job of the casting agents would be to assist you in showcasing your talent before directors and production houses, network on your behalf, and find roles which might make you famous over night. Casting agents are located in different parts of the world. There are casting agents in London, the USA, Canada, or anyplace else. To find the best casting agents in a particular area, you would need to conduct an online search. You could also read reviews for a variety of casting agents and work with the best in the business. When you are working with casting agents of repute, half your work is already done. These professionals having inside knowledge of the industry would help you find roles suitable to your personality and temperament and assist you in creating a successful carrier in the entertainment business. In this day and age of the Internet, finding casting agents is not that difficult a proposition as it was even a couple of years ago. Some reputed sites have come up in recent times, and these are acting as platforms for entertainment companies in search of talent, and talented individuals in search of their dream roles. Individuals in search of work can post their profiles in these sites and hope to hear from the best casting agents in the business. 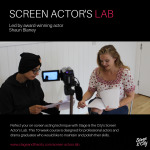 Many reputed casting agents and directors are known to search these sites for new talent and aspiring actors cannot afford to miss out on this chance to get noticed. There is another facet to these sites; individuals can also apply directly to the casting calls and acting auditions which are featured there and hope to get work as actors, TV hosts, musicians, or any other related capacity. The fact of the matter is that one needs to possess excellent networking skills to get noticed in the entertainment business and what better way to do so than using the almost magical capabilities of the Internet? Many insiders and professionals in the entertainment industry have realised this fact and have started harnessing the power of the Internet to assist aspiring actors, models, and artists with a dream of making it big. These people are the brains behind the web sites which have come up where casting agents can place their advertisements and contact individuals directly. To know more about London casting agencies, casting agents London, and acting jobs in London, you can visit www.castingnow.co.uk.